To connect pressure or vacuum lines to plain tubes & pipes. The Tube Couplings is simply pushed over the end of the tube & pressed firmly to the stop position. This provides an effective leak-proof sealing. 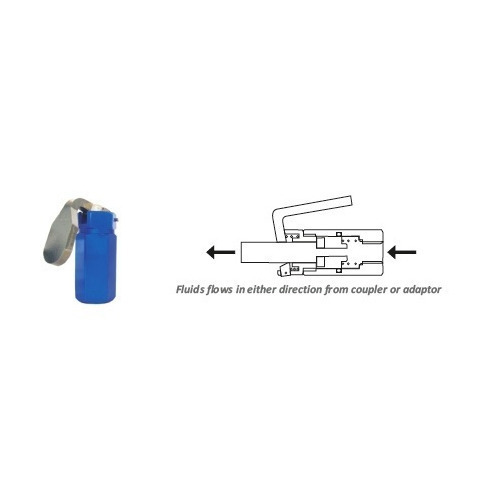 The tube can be disconnected merely by pressing down the lever & pulling off the coupling. No welding, threading or flaring of tubes. Known for the purpose of manufacturing, supplying, distributing and trading a wide range of supreme quality Hydraulic Equipment and Tools, Neotech Equipments Pvt. Ltd. started its operation in the year 1993. The product range offered by us is inclusive of Hydraulic Jacks Pullers & Pumps, Hydraulic Clamping Cylinders & Power Sources and Accumulators & Oil Coolers. Known for their high performance, longer functional life, less power consumption and sturdy construction, these hydraulic equipment and tools are manufactured from quality assured materials that are sourced from trusted vendors of the industry. In addition to this, these hydraulic equipment and tools are available with us in user-defined specifications. Pocket friendly price, customized packaging, multiple payment modes, ethical business policy and customer centric approach has helped us in catering to the precise needs of our valuable customers in the most efficient manner. In a zest to attain maximum customer satisfaction, we follow complete transparency in all the business dealings. Some of our reputed customers are Hero Motors and Indian Oil.